Epic Games has added mortar files to the Fortnite Battle Royale data with the latest patch. Epic Games has added a bunch of new files to the "Fortnite Battle Royale" data with the v7.30 patch. The patch, which was released on January 29, has added only one new item to the game. However, the game developer used it to prepare for the upcoming events and the v7.30 content update that will most likely be released on Tuesday, February 5. 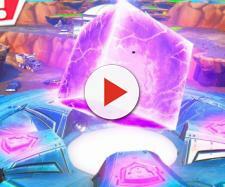 Data miners have discovered a lot of new content that is coming to the game, and it appears that "Fortnite" players will get some big things! There are four new events players will be able to attend starting Friday. Epic Games will release a special event for the NFL Super Bowl, followed by the party at Pleasant Park. There will be an event for the Chinese New Year, as well as a season 8 build-up event. In addition to this, the game developer will release a mortar to the popular video game, which has been discovered by data miners. According to the game data, the new item is going to be called the Fireworks Mortar. At the moment, it is unknown how exactly this item is going to work and how much damage it will deal. However, considering that the Quad Launcher was recently vaulted, it makes sense for Epic Games to bring a mortar to "Fortnite Battle Royale." While many players used the Quad Launcher the same way the used the Rocket Launcher, this vaulted weapon was capable of doing much more. The trajectory of its rockets was unique and it allowed players to shoot rockets high in the sky and make them land on a nearby enemy. 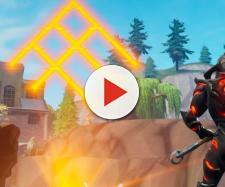 In short, the Quad Launcher could have been used as a mortar, which is probably the reason why the video game developer is bringing the Fireworks Mortar to the popular video game. As you can see in the tweet above, the Fireworks Mortar will look similar to the "Save the World" mortar which was included in a few in-game events. "Fortnite Battle Royale" players will have four big events coming, with two of them happening this week. On Friday, February 1, Epic Games will celebrate the NFL Super Bowl. NFL skins will be released to the in-game store once again, and there will be a special limited-time game mode called NFL Rumble. On Saturday, February 2, players will be able to attend a party at Pleasant Park with Marshmello. 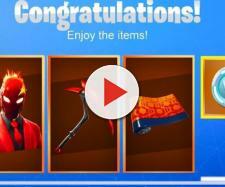 This will be a unique event which will allow players to complete special challenges and earn free cosmetic items from them. In addition, the popular DJ will be an NPC and he will be performing at Pleasant Park.